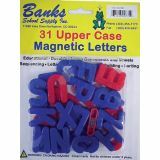 Magnetic numbers are just the right size for individual work and play. Works great with student lap boards or on any metal surface. Numbers are 1.25" tall. 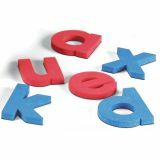 Bright colored JUMBO (2.5") letters give you a hands on approach to recognition, spelling. 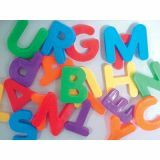 Bright colored JUMBO (2.5") numbers give you a hands on approach to recognition, numbers. 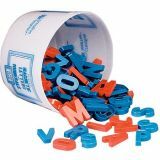 Includes 61 super-sized 3" tall phonogram magnets with red vowels and blue consonants, 52 upper and lower case letter magnets, common digraphs and blank tiles, plus word building lessons and activities. Magnetic poster sold separately (DO-MW01M). 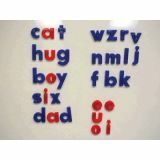 Vowels in one color, consonants in a second color. 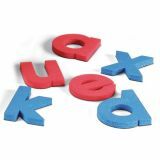 1 1/2" molded plastic letters adhere to any metal surface for learning alphabet recognition, alphabet sequence and simple spelling.